5 1/4" W x 8 1/4" H. Two-sided. Black ink on light blue paper. Price is per 100. 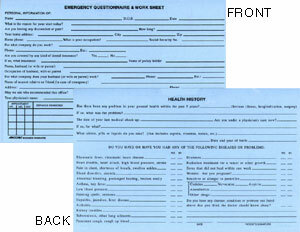 This form can be used in place of 50-0040.